A delightful and brand new stunning addition to our ever expanding collection of Venetian mirrored furniture comes thisbrand new and simply stunning Rome mirrored tallboy chest. 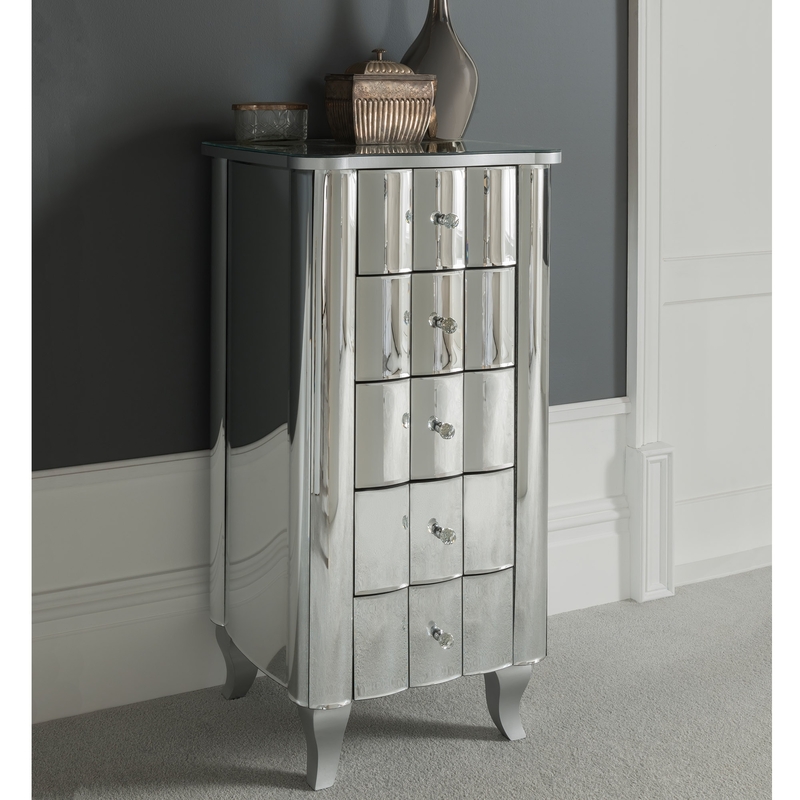 Crafted from clear cut glass, this marvelous mirrored tallboy chest featuring 5 unique curved spacious and practical drawers with crystal handles will work perfect in any home decor. Sure to last across generations, this cut glass mirrored tallboy will astound in an instant.